The ‘Student Nurse Placement Survival Pack‘ can be read online below or can be downloaded as a pdf for printing from the above link. The Course Team endeavour to support you via Helen Davidson (Academic Lead for Practice Learning) and the allocations office, and your Academic Adviser is a sound source of guidance – but this booklet and the wide range of personal stories from student nurses and midwives available on the Placement Enhancement project blog will also be of great help. You can help your peers by sending in material of your own and add to the wealth of information and advice from experienced colleagues. Mary Cooke is the staff contact for your contributions or you can email suggestions directly to studentnurseplacementproject@gmail.com. Better still, you could join the team next year to support your peers in their clinical learning journey and improve this booklet. Greater Manchester Nightline: A non-judgemental and confidential listening and information service for students between 8pm-8am during term time. Call 01612753989/4 (this number can also be found on the back of your library/student card) or email manchesternl@hotmail.com from your student email to receive an autoreply with the contact number. Visit manchester.nightline.ac.uk for details of other services. The Student Nurse and Midwife Placement Project is student-led project that aims to support student nurses and midwives to make the most of their experience on placement while at the University of Manchester. Alongside this booklet, we have developed an online blog that is run by nursing students and midwives from the University of Manchester. There are currently more than 170 blogs to explore on a range of topics including frank personal reflections from current and former students about their experiences on placement, guidance and tips for making the most of your placement as well as topical stories from the field of nursing and midwifery. We hope it will help guide you through what can be an exciting and nerve-wracking time at the start of your nursing journey. You will hear from students from each field and year as well as staff from the University, current nurses and the wider field. Visit uomstudentnurseplacementenhancement.wordpress.com and have a good look around; read the blog posts and meet the rest of the project team. Good Luck in your nursing journey, we hope you enjoy every minute of it and that this project helps you to make the most out of your time on placement! The project has been funded by the Learning Enrichment Fund: The University of Manchester Alumni; all participants are grateful for the opportunity provided. The independent views and opinions expressed within this booklet and on the accompanying website are those of the student authors during their study for the BNurs (Hons) degree and are not necessarily those of The University of Manchester, the School of Nursing, Midwifery and Social Work or the NHS. All information within this booklet was correct at the time of publication and should not be treated as an exhaustive or definitive source of information, but as a starting point for any issues or queries you may encounter during your time on the BNurs course. If unsure, it’s always best to contact your AA as the first port of call or refer directly to the course material on Blackboard. If you have a problem on placement it is important that you know who to contact for support. This diagram will help you identify points of contact within placement and university to speak to about any placement issues you are having. It is always best to keep in touch with your AA, whether it is an issue with your own learning experience or regarding any incident you have observed in practice. If you are not sure where to go with an issue your AA will be able to point you in the right direction. If you are concerned about meeting your placement outcomes or have queries about your learning in practice, discuss this with your mentor or your associate mentor if your placement has a team based mentorship style. There is space to record these additional meetings in your online Practice Assessment Record (PAR) as well as your initial, mid-point and end of placement meetings. If your issue involves your mentor or you do not feel able to talk to them, you can contact the Practice Education Facilitator (also knows as ‘PEF’) for your area in conjunction with your Academic Advisor (AA). They can often offer a quicker, on-site resolution for difficult situations. There are also University Link Lecturers (ULLs) at the University who liaise within each Trust to develop academic and practice links. Part of their role includes supporting students in clinical practice, particularly when clinical learning issues arise. PEFs also urge students to come forward with placement/mentorship issues and ideas when they arise, this will help them improve your experiences in practice while you are based in that area. However, even if you are happy with your time in practice, PEFs really appreciate honest feedback from your evaluations – this helps them maintain high standards and improve things for subsequent students at your placement. If you are worried about your own learning it is important to get in touch with someone to discuss this sooner rather than later. This enables you to work with your mentor and your AA to create an action plan to help you meet your learning objectives. Details of the PEFs, ULLs and other people involved in student learning should be on the student noticeboard at your placement. The name of your mentor should be assigned to you via your online Practice Assessment Record and Evaluation (PARE) account prior to starting placement, but you can also check their name when you ring up to check your first shift. The contacts page on the Division of Nursing, Midwifery and Social Work site is also a useful source of contact information- www.nursing.manchester.ac.uk/mentors/contacts. You are responsible for your own learning and should be able to demonstrate this to your mentor. Make sure you contact your placement area around two weeks before starting to introduce yourself and make sure they are expecting you. Ask who has been allocated as your mentor, your shifts for the first week, any specific requirements (uniform policies, parking etc…) and where/who to report to on your first day. 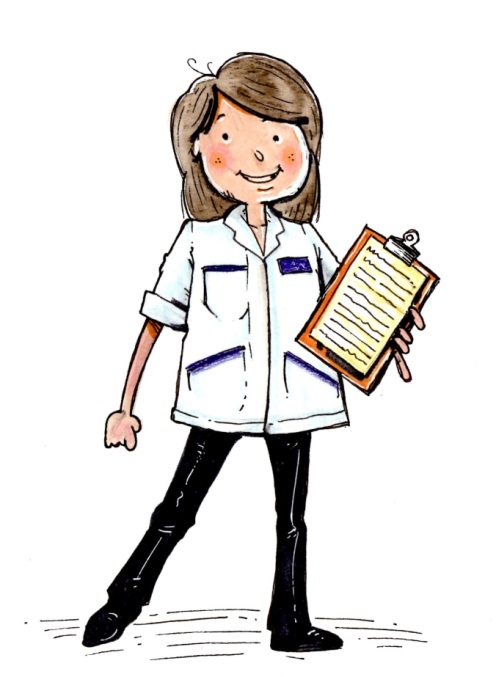 If you are a first year new to Manchester or in any stage of nursing career and have to go to a trust you have not been to before you may find it helpful to visit the placement area before starting; to plan your travel route and ensure you can get there on time for early shifts. You may find the travel section useful for more information. Mentors will expect you to obtain a certain degree of knowledge during your placements so we recommend that you meet your mentor as arranged to discuss your placement learning needs, objectives and perceived outcomes. It is a good idea to have a good look through your Practice Assessment Record (PAR) before starting your placement, filling in your initial assessment before your first shift and familiarising yourself with objectives you will be aiming to meet during your placement. Remember that there is additional space in your online PAR to record details of any meetings additional to your initial, mid-way and final interviews. We suggest that you demonstrate that you are actively seeking information and learning opportunities throughout the placement. Your ward should have a copy of their student charter on display; this will outline in more detail what your mentor expects from you and what you can expect from your placement. If you have any additional support plans in place such as Occupational Health or the Disability Support Office that you have already completed with your AA, it is your responsibility to advise your mentor of any specific plans in place so they can support your learning from the beginning of your placement. You must inform your mentor of any situations you encounter that are beyond your level of competence, preferably before the end of your placement, so that you can make plans to address this area. Initial and mid-way point meetings with your mentor are your opportunity to discuss your progress. Be prepared and plan in advance what you would like to discuss at these meetings. Don’t be afraid to ask any kind of questions or suggest ideas for your learning opportunities. Ask other staff or peers if you are struggling for ideas. Mentors and other members of the practice area team often recognise students’ professionalism, their insightful ways of working or involvement with patients and carers. There will be a letter of recommendation sent to recognise excellent practice if the School receives this from your mentor. You can also nominate your mentor or placement area for a ‘Recognising Excellence in Practice’ award via the University if they have gone above and beyond in facilitating your learning during placement. Some Trusts also have their own in-house awards to recognise excellent mentorship. It might be that you fall ill or are unable to make placement for personal reasons. As long as you have followed the correct procedure to inform both university and placement of your absence, you can make these hours back at a later stage. Some students may prefer to do an extra few hours on each shift, or you can arrange with university for an extension on time in placement in exceptional circumstances. For more information on this please check the appropriate blackboard area regards placement hours. The Practice Hours office can be contacted on 0161 306 7801 and must speak with your AA about how you plan to make up missed hours- but remember you should not work a high number of long days to accrue time off by ‘front loading’ your hours. Guidance in the Programme Handbook outlines that there should be an educational advantage to you working more than the expected one long day per week and one weekend per month. It is no longer mandatory to complete a set number of nights over the three years but you do need to be able to demonstrate you have had exposure to 24 hour care, some areas such as ICU or A&E can be just as busy at night so there will be loads of learning opportunities on nights. Night shifts on other wards can also offer a lot but it may be an idea to bring some work in or write reflections if there are lots of quiet periods. For each placement you will be allocated a mentor whose name will be available via your Practice Assessment Record and Evaluation (PARE) account online. Your mentor is responsible for overseeing your learning in practice as well as completing your online documentation including your initial, mid-point and final interviews. 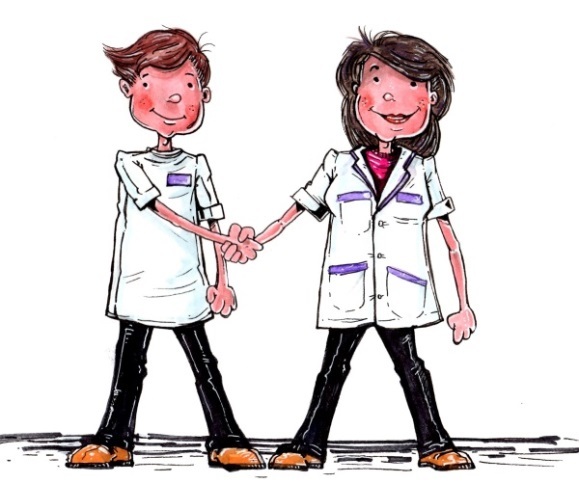 During your placement you will spend time directly with your mentor as well as working with many different members of multidisciplinary team in your placement area, both nurses and other healthcare professionals, all of whom will contribute to your learning experience. If you are ill or likely to be late on shift, it is important that you call your placement to let your mentor know you will not be coming in or will be late. You must also contact the School sickness and absence office by phone and email – their details can be found in the useful contacts list on the inside cover of this handbook. If your mentor is ill or on annual leave during your time on placement you should speak with the nurse-in-charge who can assign another member of the team for you to work with who can provide feedback to your mentor when they return. 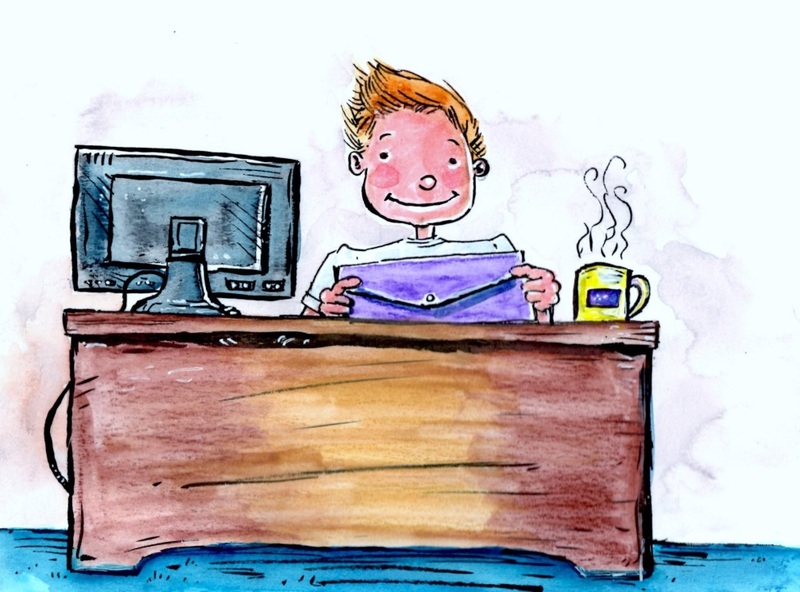 As well as your mentor, it is likely that you will also be assigned as Associate Mentor. If you know that your Mentor will be away in advance you should arrange your shifts with your Associate Mentor or use this as an opportunity to arrange spokes. It is also good practice to pre-arrange your meetings with your allocated mentor in case they have booked annual leave during your placement block. It is important to be assertive but professional in these meetings with your mentor, if you feel strongly about a certain issue related to your learning it is important that you can articulate this to your mentor so you can meet the learning objectives you have outlined and get the most out of your placement. You need to be able to raise issues with your mentor but if you find the situation is getting heated or the meeting is not progressing/addressing these issues, try to take a step back. You can always revisit a conversation in additional meetings or you could try discussing it with another member of staff such as your associate mentor or the department manager. Have a look at the ‘Support on Placement’ section for more details on who to contact if you experience mentorship issues and remember that you do have the right to negotiate a new mentor should there be extenuating circumstances. The mentor is to remain responsible for the patient/client group at all times. If the student demonstrates unprofessional behaviour (as defined in the NMC Code of Conduct). If the student fails to comply with local policies and procedures following extensive discussions/explanations of the same. If the student, following negotiation with their mentor, continues to fail to meet the required targets or objectives. This is outlined in the new NMC Code under 9.4; “support students’ and colleagues’ learning to help them develop their professional competence and confidence.” The NMC guidance is that the students spend a minimum of 40% of their placement under the supervision (direct or indirect) of their mentor. Therefore, the student does not need to be physically with their mentor for 40% of the time, as long as the mentor is in communication with the rest of the staff regards their performance etc. this is an acceptable format. A few areas now have a model of ‘team mentorship’ where several mentors will oversee students training as a team. Try to be as flexible as you can with hours to work with your mentor as much as possible but they should also try to accommodate your needs around shift patterns. This year sees the introduction of the GM Synergy project across Greater Manchester involving all four Higher Education Institutions delivering nurse training and key NHS Trusts. GM Synergy is based on the CLiP™ model (Collaborative learning in Practice) developed by the University of East Anglia and aims to increase your confidence, competence and performance in practice by following a coaching, rather than mentoring, approach to learning. The coaching approach to practice learning adopts a stronger focus toward self-directed learning with the aim of developing your confidence and leadership skills. You will be encouraged to lead your learning on placement with less focus on following the direction of the mentor and more focus on supporting you to identify your goals and objectives, working with the ‘coach’ who will offer guidance and critical challenge. In the coaching model, you will be allocated a named mentor with an NMC recognised mentoring qualification but on a day-to-day basis be ‘coached’ by a suitably experienced practitioner who is not necessarily a mentor. This means that there are times when your named mentor may be present in the clinical area without acting as the coach. Your mentor will be responsible for signing your hours and assessing your progress against the learning outcomes by completing the initial, mid-point and final interviews with you. GM Synergy is being implemented in a number of pilot areas across Greater Manchester so it is likely that you encounter this new approach at some point during your training. You can find out more about GM Synergy and how it hopes to enhance your learning experience in practice here or by contacting Karen Heggs (Karen.Heggs@manchester.ac.uk). Throughout the BNurs course you may find yourself allocated to placements across the whole of Greater Manchester. 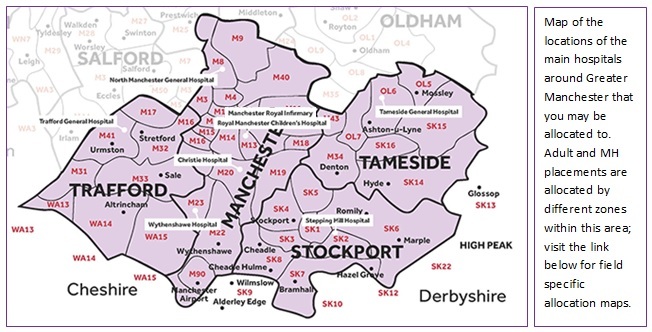 The four main boroughs for placement are; Trafford, Manchester, Tameside and Stockport. Placements can also include non-NHS areas including private hospitals, hospices, and nursing homes. It is important to remember that there are some differences between trusts. Your experiences between different trusts may vary (for example; differences in Early Warning Scoring Systems) so it is important to familiarise yourself with the Trust policy when you start your placement. Guidance on this will usually be found in the student file at your placement or via the Trust intranet. It is important to attend the ‘Induction’ for your trust; they will cover important information such as fire safety, local trust policies, access to hospital intranet and details of any education events like student seminars, simulation suite sessions (not available for all hospitals and sometimes limited to 2nd & 3rd years only) and Inter-Professional Learning (IPL) workshops. They are generally mandatory but contact your PEF if you are unable to attend due to sickness or other circumstances and they may be able to accommodate you on a different session (they are generally run fairly regularly due to overlapping placement start dates for Manchester, Salford and MMU students. Details of Induction dates can be found on Blackboard in the Practice Learning Gateway area, under the ‘Practice Placement Information’ tab. It is important that you always fill in placement evaluations on your PARE account. These evaluations are mandatory for each placement as they help to create a better learning environment for future students which will enhance their placement experience. The main hospitals within the placement allocation zones are below, with a few travel notes if you are travelling by public transport and postcodes for sat-navs, links to the hospital’s own travel page are also included for more detailed travel information. http://www.cmft.nhs.uk/information-for-patients-visitors-and-carers/getting-to-hospital/trafford-general-hospital Bus services from various locations include 245, 247, 256, 268, 276, 277, 278, X58- these all stop on Moorside Rd outside the hospital. http://www.uhsm.nhs.uk/Pages/gettingtouhsm.aspx Direct services include 109, 105, 104. The 101 bus stops close to the A&E entrance but not at the main hospital bus stop and is often the fastest bus. These routes begin at Piccadilly and go along princess parkway. From Fallowfield the 43 bus to the airport stops at Wythenshawe bus station and connecting services to the hospital include 11, 178, 19, 368, 268 (104, 177- evenings only). Pennine Care Trust for MH students, based on the same site. Hartshead South entrance buses: 217, 218, 231.
https://www.stockport.nhs.uk/page_140 Buses include 192, 173, and TP services. Please remember the information in this booklet was correct at the time of publication but public transport services are subject to change, please double check this information before you end up lost on your first day! Hopefully this information will be a useful starting point for those of you new to Manchester, many people also find it useful to have a trial run to time your journey and find where you’re going to prepare for your first day! Please also remember to travel safely on your way to placement; it can often be very early in the morning or late at night and may be dark during your winter commutes. Where possible travel in two’s or buddy up with people at your placement, there is a wiki page on Bb to organise car-pooling, it also pays to invest in a good bike lock and some hi-vis gear if you are cycling to placement. Trafford General £1.25 per week, pay in cash at the parking office. Students can apply for staff price parking vouchers (£1.45 per day sold in books of 20 for £29) or park in visitor parking. NB – many nearby residential streets are permit only, so it’s advisable to double check. Wythenshawe Permits available from the security lodge for £5 per month; you’ll need your mentor/ward manager to complete a form. Student car parking passes are available when you collect your ID badge for £5 per month. Manchester Royal Infirmary, Royal Manchester Children’s Hospital, St Mary’s & the Eye Hospital £10.80 per month, you can get this via www.parksolve.co.uk/cmft. Fill this out in advance as it can take around 2 weeks to receive your permit. Tameside General/ Pennine Care Trust £30 monthly passes are available for students. Stepping Hill £5 per month permits are available, can be obtained from the Rowan Unit (debit cards taken). There is financial support available to students through the NHS Learning Support Fund to assist with the cost of travel. Visit http://www.nhsbsa.nhs.uk/learning-support-fund to check your eligibility for support with costs related to placement. From September 2017, practice assessment documentation is now available online through the new Practice Assessment Record and Evaluation (PARE) system available at http://www.onlinepare.net. PARE allows you to record all of your practice hours as well as complete your Practice Assessment Record (PAR) online which includes your self-assessment, initial, mid-point and final interviews with your mentor. PARE can be accessed through any device with an internet connection. Your PARE account will be created on your behalf, you will simply need to activate and create a password before going out on placement. We recommend that you take a look through PARE prior to starting placement to become familiar with its format. Helpfully, there are a series of guides available on the PARE website to assist students and mentors with PARE. Bear in mind that PARE is a brand new system that that only been widely implemented this year. As such, some mentors and placement areas may still be familiarising themselves with the new format. It is therefore important that you are familiar with PARE and ensure that all sections are filled out in full before you finish your placement. If you have any questions or concerns, do not hesitate to contact Chris Bamford (Chris.Bamford@manchester.ac.uk), Karen Heggs (Karen.Heggs@manchester.ac.uk) or take a look at FAQs on the PARE website. Once you have found out where your placement is, find out what you can about it. In the first few days think about and discuss with your mentor what you feel your learning objectives could be that are applicable to your placement and surrounding areas of nursing. There should be a student file on site you can use for ideas as this should provide information about your placement. You can also use these objectives to help you explore areas of personal interest – for example if you are interested in a career in a particular field and want to find out more about it – but always try to link it back to the theme of your main placement area and related outcomes. Take your portfolio in to placement and discuss with your mentor. You can discuss what objectives you will be able to meet with your mentor. This will help guide you towards writing reflections and gaining information to use as well as earmarking skills you will be able to practice for your mentor to sign off. Gather evidence of learning you have undertaken to support your portfolio. Blank spoke and generic reflection templates are available on Blackboard; it is useful to have a few blank copies so you can fill some out while on placement if you have a spare minute or if you are reflecting after a particular experience. Peer mentors will arrange portfolio workshops to help you make a start with compiling your portfolio and your AA will be able to answer any specific portfolio queries. A spoke is an opportunity for you to spend a few hours or a full day with another department linked to your current placement. Most placements should have information of relevant spokes in the student file available on site, feel free to arrange your own outside of this list but be aware that you mentor may ask you to justify the link between the spoke and your hub placement! Specialist nurses are great to arrange spokes with and are generally really keen to have students to learn more about their specialist role. Working with other health professionals also helps you gain a wider experience of how a multi-disciplinary team work together; Occupational therapy, Podiatry, Physiotherapy, Radiology, Pharmacy, Speech & Language Therapists (SALT) etc… are all great departments to arrange a spoke with. Spokes are also a handy way for you to meet cross-field learning outcomes for your portfolio; patients of any age can experience mental health problems, MH service users may also have physical co-morbidities, some practice areas such as health visiting look at the both health of mother and baby and other units may deal with a wide age range of patients (like the Palatine ward at The Christie which has both adult and paediatric nurses). Think about which areas of your current placement cross over into other fields and arrange a spoke to explore these areas in more depth. You can also arrange to ‘shadow’ senior staff and managers by prior arrangement. This gives insight into how the NHS is run, decisions made and funded (or not). You should ring and arrange the spoke at a suitable time (within usual placement hours) for you and your mentor. Ideally if your mentor is not on shift or on holiday so it doesn’t cut into your time working with your main mentor. If you have booked your spoke far in advance it is useful to reconfirm with them the day prior to ensure everything is still ok as planned. This is also advisable if you have made the arrangements with someone at the spoke who is not the person you will be working with on the day to let them know they will have a student that day. Some spokes are very high demand or only have a small capacity for students so it is good to plan which spokes you’d really like to do early on to ensure you get chance to visit there during your placement. You can add your spoke to your online PAR, to be signed off by your mentor. It is also a good idea to write up a reflection of your spoke for your portfolio if suitable. Your trust will also have seminars and workshops available for students you should be told about these at your trust induction, you may also notice them advertised on noticeboards or screensavers around the hospital or you can contact the PEF who will be happy to give you the dates and how to sign up to these events. For most Trusts, students should now receive emails directly about events like this during their time at that Trust. 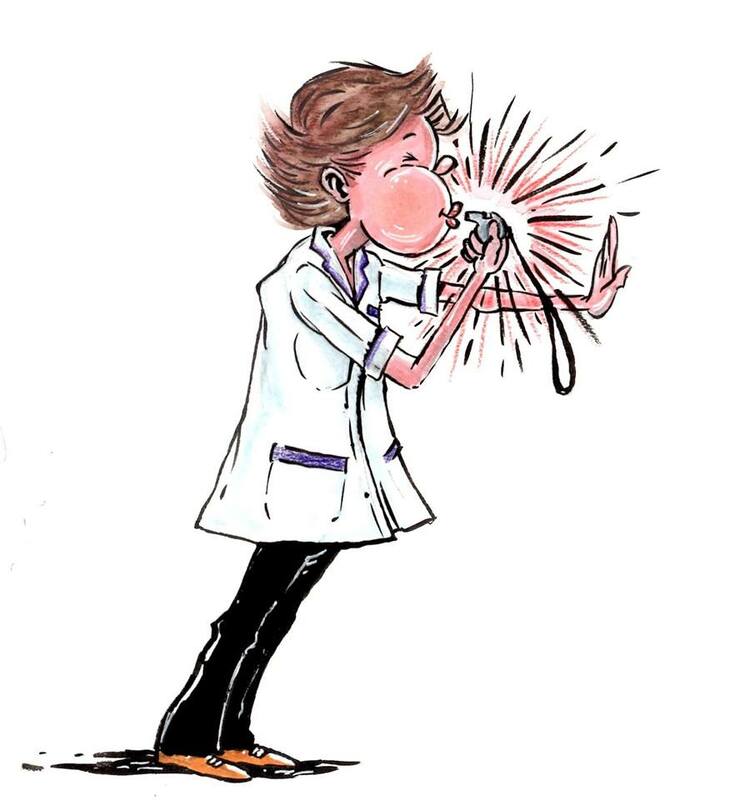 Whistleblowing is the raising of concerns about a risk, danger or malpractice which affects others. This could be an issue that affects patients, the public, your colleagues or the organisation that you work for (NMC, 2015). The ‘Support on Placement’ section gives some situations when you may want to contact people regarding placement issues such as mentorship issues and the general learning environment. If you are worried about raising concerns, or want to talk through what is involved in the whistleblowing process, you can call the NMC contact centre on 020 7637 7181 who can advise you or there are some other useful numbers listed below. Even if you feel something is only a minor concern it’s best to talk things over with your AA about anything that is worrying you on placement and they can help guide you if you need to take things further. Make sure that patient and public safety is protected. Work within the limits of your competence, exercising your professional ‘duty of Candour’ and raising concerns immediately whenever you come across situations that put patients or public safety at risk. A part of the code of conduct and your fitness to practice, it’s really important that you report any bad practice you witness in placement. There is a wealth of support and guidance for whistleblowing from both within the university and from various professional regulatory bodies. If you are a member of a union, you may also find they have advice and support for members involved in whistleblowing. There is a placement change request process; however this is only open to you for five working days following the release of your placement allocation. Placement change requests are to be submitted online via the Practice Learning Community Gateway in Blackboard. Please note that placement change requests are to be submitted for exceptional circumstances only – guidance is available via the Practice Learning Community Gateway on Blackboard. We just wanted to remind you that if you are facing financial difficulty during the extended semester, you may want to consider applying to the Manchester Hardship Fund. More information regarding the Manchester Hardship Fund and the eligibility can be found at: http://manchesterstudentsunion.com/emergency-loans-and-hardship-grants as well as information on the Students Unions emergency loan. It is important to understand that sometimes we can have such overwhelming personal difficulties that cause absences or inability to work; it can affect our health and perspectives. Your AA and others in the BNurs Course team will become aware of such issues and you could be asked to meet up for a discussion, please go to this. Your case may be discussed with you at Progress Panel meetings too – if you have not managed to pass a series of assignments or specific placement learning objectives. You should always be aware that your AA is there to support you, and not to make judgements if you are open and honest about the possible or probable reasons for your difficulties. You will be asked for evidence of these reasons so that mitigation can be considered. Often assistance is granted before Progress Committee, so you can extend your placement for making up hours, or have planned re-take dates. In the event that your circumstances are such that it may be advisable to interrupt study on the course for a year, this is agreed with you by your AA and the Cohort Lead. You will have a planned return which balances your needs. The Course Team want you to have a successful outcome, and not lose you to illness or other catastrophe. We hope you find this useful and welcome any feedback, you can get in touch with us at studentnurseplacementproject@gmail.com or via our Facebook page or the comments box on the home page. We hope you enjoy all your placements and make the most of the amazing opportunities they have to offer!